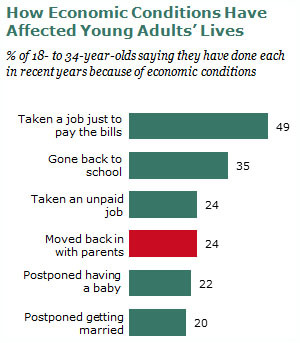 It’s not all that surprising that lots of young people are taking crappy jobs or going back to school or even postponing having a baby. But a full quarter of them have moved back in with their parents? Yikes. I’m not sure how much this has changed over time, but it’s a helluva lot regardless.